Philip Warren Gertsson performs at the 2013 World Freestyle Football Championships under the watchful gaze of Séan Garnier. 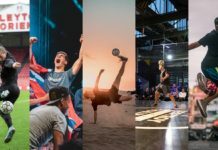 Urban Pitch was able to catch a free moment with Asia Freestyle Champion Philip Warren Gertsson for an exclusive interview. Gertsson shared his unique insights on various topics, ranging from keeping “social media fame” in perspective, unveiling one of his Jedi-in-training, and the secret to landing a hot Swedish girlfriend. 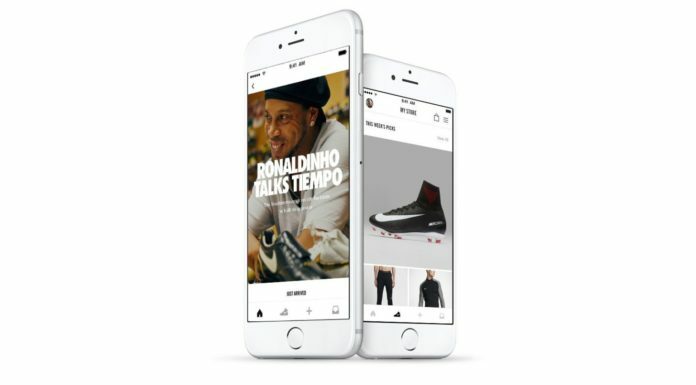 Urban Pitch: Glad to finally sync up with you! It seems you’ve had a very busy travel schedule. Where have you been about lately? PWG: Just came back from a short Eurotrip. Went to Germany, Poland and then finished off in Paris. Wow! Speaking of international travel, you have a unique mixed background! Can you describe your heritage? Haha yeah, very mixed honestly. My mother is Norwegian and my father is a bit of everything, but mainly Filipino. They met in Oslo, in the late ’80s I believe. Ok, since we’re on the topic of international romance … your Instagram posts with your girlfriend doing different combos together seem to be extra popular. Is there some secret place in Sweden where one can meet hot, female freestylers? They’re all over Sweden, but try your luck in the south in summertime! We’ll keep that tip in mind before booking our trip. So your girlfriend is also a freestyler, is that how you two met? Actually, we met at a party. And then we grew into liking each other. This was a long time ago haha. She is the most supportive person in my life. Just the fact that she stands out with my constant training and travelling, but also copes with my mood swings when training goes bad. She always makes me feel better about my accomplishments. Sometimes she is even at my trainings helping me. Ok, now can you tell us how you first got into the freestyle scene? It was back in 2006 and I was 14 years old. Since then, you’ve been fortunate to travel around the world doing what you love. Any special countries or memories that stand out in your mind? Well, visiting Poland is always special. That’s where I won my first competition and where one of the largest communites are. The level there is insane. Also, World Freestyle Football Championship in Kuala Lumpur 2011 was incredible. What about something funny or embarrassing that’s happened during your freestyle travels. While doing a show at a conference at a hotel in Sweden, I managed to drop the ball and knock over a jug of water over someone in the audience. Also, in 2013, I did a show for a comedy festival and I was dared to do an atw with a fresh fish. I did, and I managed to kick the fish so it splattered over everyone on first row. In the first row, was a journalist who was giving his rating on that specific show. We got 5 out of 6! What a success! That sounds pretty hilarious! Ok, but everything can’t be all fun and games and we know there’s a lot of hard work and discipline involved. Is there anything you don’t enjoy about being a professional freestyle performer? Not much that I can think of, but there’s always people who [don’t] think that your profession is a “job”. But being a freestyler is mostly perks. Sometimes, it can be difficult to pay bills due to a dry month or something. Competing in the 2013 Red Bull Street Style World Finals. Besides all of the free swag (everyone’s favorite perk) what’s the best part of being a professional freestyle performer? Meeting new people, travelling, but it also gives me the opportunity to do what I love at full time, and getting paid for it. That’s what a lot of people dream about. Right, including us! Now let’s talk a little bit about the sport and freestyle community. What are your thoughts on the current scene? It’s growing quickly but we are still a close and supportive community. As for the young guns, we need to teach them that fame on social media doesn’t mean being the best and vice versa. No matter how many followers you have, you need to set aside x hours every day to become a world class freestyler. Very true. 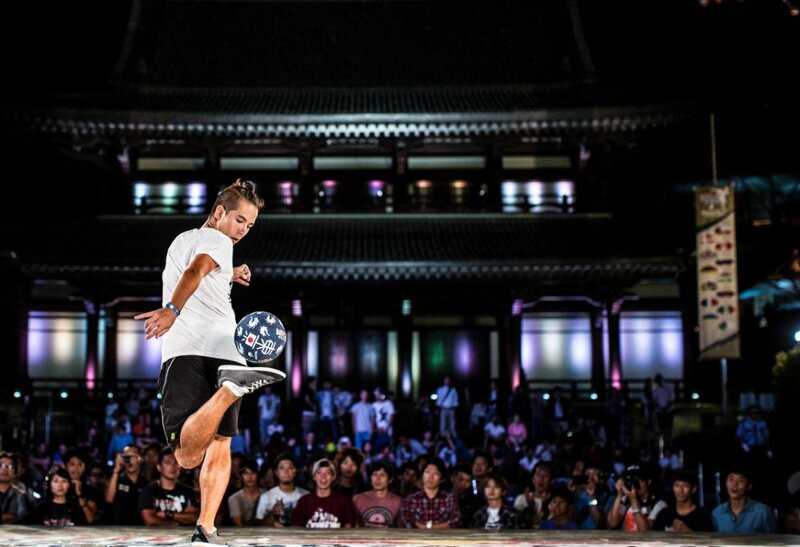 We see some crazy freestylers with awesome skills that have a pretty small following. That’s something we strive to change at Urban Pitch. 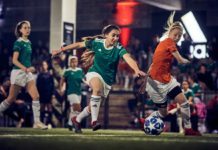 Now about these up-and-comers, are there any young freestylers that impress you who are on your radar? Yeah for sure. Josh Sanders (16) and Hannes Turovaara (17) are two young guns who are already making a big impact in the scene. Their unique style and approach to freestyle is what makes them stand out. As for the [even] younger guns, I believe my young padawan Jojje [Lindgård] (12) from Sweden will go far if he trains hard. Sweet. Yeah, we’ve been recently following Josh and Hannes for a little bit but this is our first time hearing about your Jedi-in-training, Jojje. Hopefully you help him stay on the right path so he doesn’t go all Darth Maul on us. With us being from Southern California and L.A., we’ve noticed it becoming a hotbed of freestyle and street football. 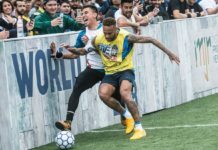 We just had Red Bull’s Neymar Jr’s Five tournament which was a great event. What are your thoughts on our local scene? Actually never been to L.A., never been to the U.S. actually. That needs to change! I don’t know much about [the freestyle scene in L.A.], but I know that my boys Umar, Jeremy, Alex, Josh and my girl Caitlyn are killing it in L.A.! Yeah, we’re big supporters and fans of all of them too. OK, since you haven’t visited Los Angeles yet, are there any cities or countries with a freestyle scene that does impress you? Japan (Tokyo), Poland (any city), Norway, Italy, Russia, Vietnam and Indonesia. Interesting. It seems a lot of freestylers mention something special happening in Japan and Poland. Okay, now looking into the future, can you share some of your plans and goals for the next few years? Keep on practicing harder than ever and keep on building a strong brand name around myself. Any big or long term goals beyond that? Well, I’m sure being the globally recognized freestyler and traveler that you are, we’ll be hearing exciting news about you for years to come. Any last words you’d like to share with your fans and fellow freestylers around the world? Train hard, sleep well and train harder. Don’t know what else to say haha. There are no shortcuts.